Fall is already well underway! I can’t believe how fast Halloween is approaching. 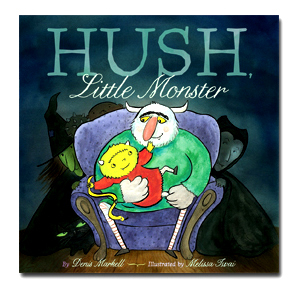 We’ve been promoting our book, Hush Little Monster, and doing book signings and readings. It will continue into November. For a list of appearances, click here. We would love to see you if you are in the area during those times! 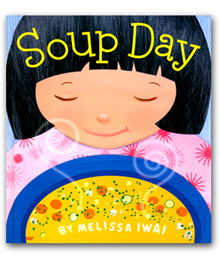 I was also featured on Kathy Temean’s Illustrator Saturday post over the weekend about my work and process. Check it out here. The coming of fall also brings…. pumpkin puree in the stores! 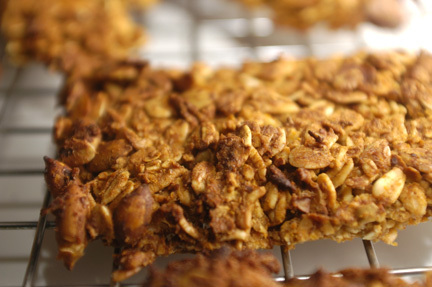 I thought it would be fun to develop a pumpkin recipe, and I was inspired to try making pumpkin granola bars. I love Kashi’s because they are really crunchy and not too sweet. I hadn’t known how hard it would be to come up with something that I would be satisfied with! The last couple of weeks have been devoted to this enterprise. There have been “fails” along the way, but even these have tasted pretty good. The problem has been getting it to be crunch-worthy and stick together! In the second round of my quest for crunch, I omitted the rice cereal, upped the oats, and added egg white thinking this would help the crispiness as in Anna’s Chunky Granola. 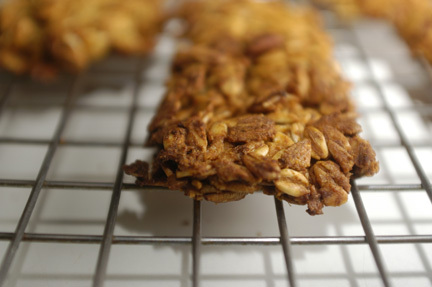 The result was a really good, tasty chewy version of pumpkin granola bars. They are very much like an oatmeal bar cookie. Jamie loves these and prefers them to the crunchy version. 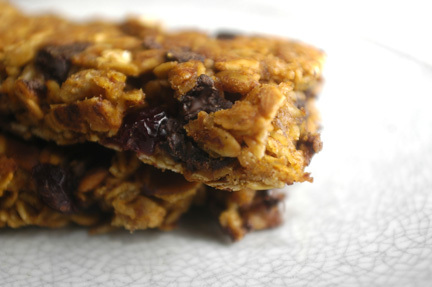 Chewy with chocolate chips and dried cranberries! Unsatisfied, I pushed onto a third round. This time, I omitted the egg white, chocolate chips, and dried cranberries, thinking less chunky ingredients would help make them stay together better when cutting. I also baked the mixture on a baking sheet in a thinner layer than the one in the baking pan. The result was a crunchy, tasty granola bar! Finally! There was some breakage — they are fragile– but the resulting granola is as delicious. I mixed it with the dried cranberries and chips that I had omitted. This granola is addicting. I could eat this all day long. As a side note, this granola — and their bar counterparts (I break them up) are heavenly with ice cream! Also, Jamie has come up with a novel recipe on his own which he says he will post on his blog, involving the chewy granola bars and cookie butter. Trust me, it is wonderful. I could go on experimenting — adding flax seeds, wheat germ, etc., but if I did, I’d end up eating batches more of granola and granola bars, and I wouldn’t be able to fit in my jeans, so I’ll stop for now! So there you have it. 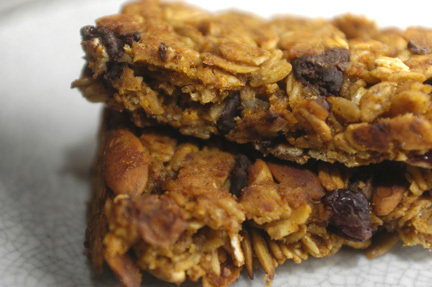 Two pumpkin granola bars with similar flavors but different textures. Which do you prefer? Crunchy? Or chewy? 1. Preheat oven to 350 degrees F. Line an 8-inch by 8-inch baking pan with parchment paper. Set aside. 2. In a large bowl, toss oats and pepitas together. Set aside. 3. In a smaller bowl, whisk together the pumpkin puree, applesauce, oil, egg white, honey, cinnamon, pumpkin spice, and brown sugar together. Pour over dry ingredients and stir until everything is coated evenly. Add dried cranberries and chocolate chips and stir to combine. 4. Pour mixture into prepared pan. Really press down and pack it in as tightly as you can in an even layer. Bake for about 20-25 minutes, watching closely at the end. Let pan cool on rack for about 5 minutes. Run knife around edge, invert pan onto cutting board. Cut sheet of granola in half, then into fifths, so you have ten bars. Carefully transfer bars to rack and let cool completely. 1. Preheat oven to 350 degrees F. Line a rimmed baking sheet with parchment paper. Set aside. 3. In a smaller bowl, whisk together the pumpkin puree, applesauce, oil, honey, cinnamon, pumpkin spice, and brown sugar together. Pour over dry ingredients and stir until everything is coated evenly. 4. Pour mixture onto prepared sheet. Shape into a square shape, and press down and pack it together as tightly as possible in an even layer about 3/8-inch thick. Bake for about 20 minutes. Remove pan from oven and cut square in half and then into fifths, so you have ten bars. They are very fragile, so be careful! 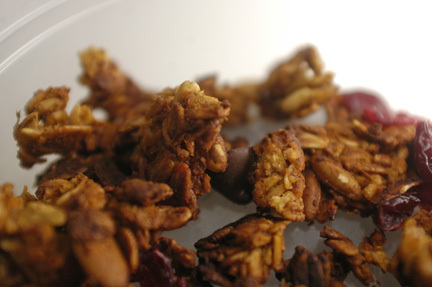 Of course any broken pieces can turn into tasty granola though…. 5. Return baking sheet to oven and cook for another 5-8 minutes, watching closely at the end of baking. Let pan cool on rack for about 5 minutes. Carefully transfer bars to rack and let cool completely. They will harden up as they cool. These can be stored in an airtight container. If they lose their crispness, after a day or two, just toast in a toaster oven for a minute or two and then let cool completely. They will be crunchy again! Note: I broke my resolve and made another batch today for a play date! I accidentally forgot the oil (duh! ), but they came out OK, and were still crunchy. So oil is optional.